The Amstel Gold Race would want Dutch road champion Mathieu van der Poel to start in the 2019 edition of the race. The classic race of the Netherlands would want the champion of the country to start at its next edition. The director of the race Leo van Vliet is just waiting for the rider to state his interest in starting at the competition, to issue his team a wildcard. The WorldTour race is set to be on the 21st of April and the race organisation hopes that the other races of the classic season don't get in the way for Van der Poel to be at the starting point at the Markt of Maastricht. "If Mathieu really wants to ride the Amstel Gold Race, I will invite him," explained Van Vliet to Dutch newspaper AD. "And if Mathieu starts in the race, he will go for it. He will not come just to look around." "When I see what Wout van Aert did last year and what Van der Poel did at the last European Championships and in several other races, then I see that it is possible. But he still has to do it. To ride in the Spring is different from any other part of the year and in the classics everyone gives everything." 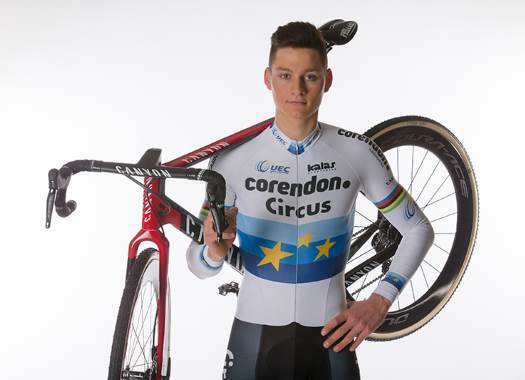 Van Vliet wants Van der Poel and his team Corendon-Circus to be in the race and hopes that Paris-Roubaix, that is one week earlier, won't get in the way. "This race is better for him than Paris-Roubaix, for example, that is for heavier engines," commented Corendon-Circus' manager Philip Roodhooft. "We think that the Amstel Gold Race would suit Mathieu better at the moment. We have also talked to him about this."